One chilly and rainy night forty years ago, Bruce Willenzik, an employee at the Armadillo World Headquarters, was chatting with a young singer named Lucinda Williams when the topic turned to the artists who made their livings selling their wares outside on the Drag. As Willenzik remembers it, Williams remarked "It's too bad those artists don't have a warm dry place like this to sell in." Those words inspired Willenzik to provide just such a space for local artists, in the form of a holiday art show at the Armadillo. "Once we got it going, it was the quintessential Armadillo event," Willenzik says. "It allowed us to have winter payroll, it allowed us to broaden our cultural reach, and it gave us something we'd never done before: working with a different type of artist, not just musicians." Though he was instrumental in creating the Bazaar, Willenzik is reluctant to call himself the event's founder. Instead, he says, "I was the instigator, and then it was founded pretty much by committee after that." A few years after the Bazaar started, the Armadillo itself closed its doors. Rather than end the show, though, the folks behind the Bazaar moved to a new location, and then another new location after that, before settling down at the Palmer Events Center. 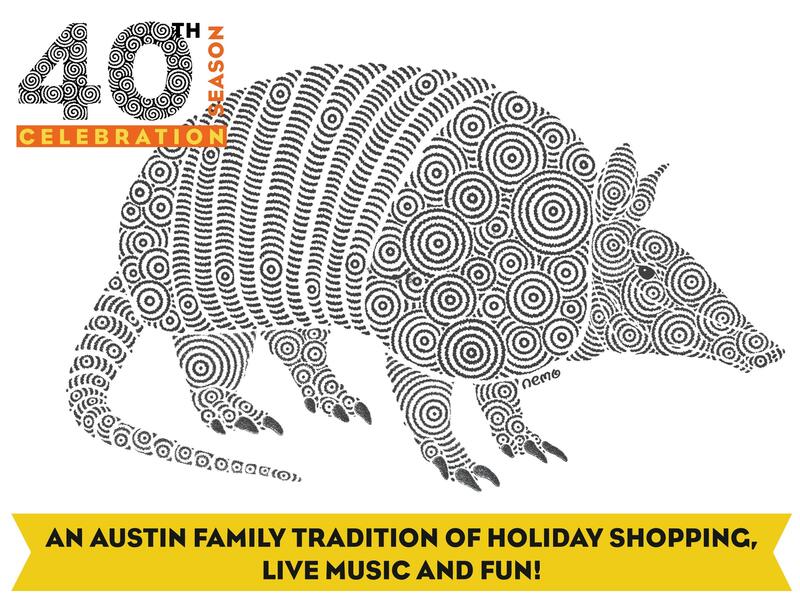 Now forty years old, the Bazaar is a bona fide Austin holiday tradition. This year, some 160 artists will participate in the bazaar, and dozens of musicians will also be performing throughout the ten day event (for a full schedule of performers, check out the bazaar's website). Visit the Armadillo Christmas Bazaar December 15 - 24 at the Palmer Events Center. The history of La Pastorela dates back many centuries. The play has been performed during the Christmas season by amateur and professional artists, in theaters and churches, in Mexico and in Mexican communities since the middle part of the last millennia. It's long been a tradition to stage La Pastorela in Austin, too. 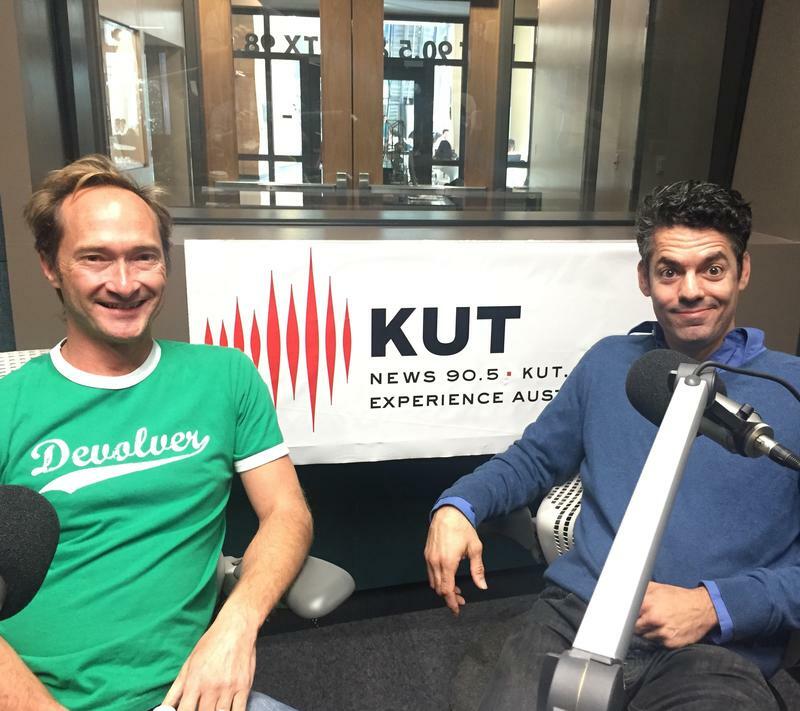 After financial difficulties kept ALTA (Austin Latino Theater Alliance) from being able to stage the play last year, director Rupert Reyes set to work to ensure it could return in 2015. 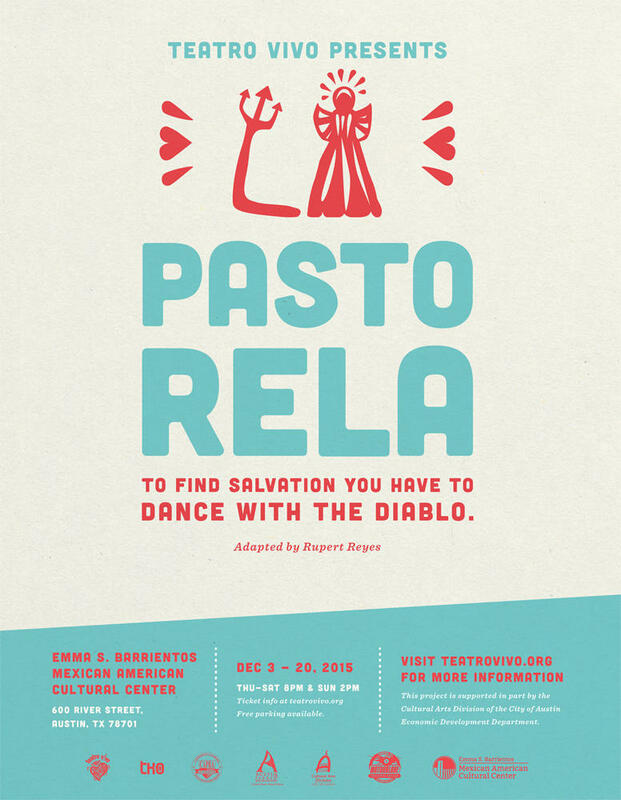 His production company, Teatro Vivo, will be staging La Pastorela this holiday season at the Mexican American Cultural Center. 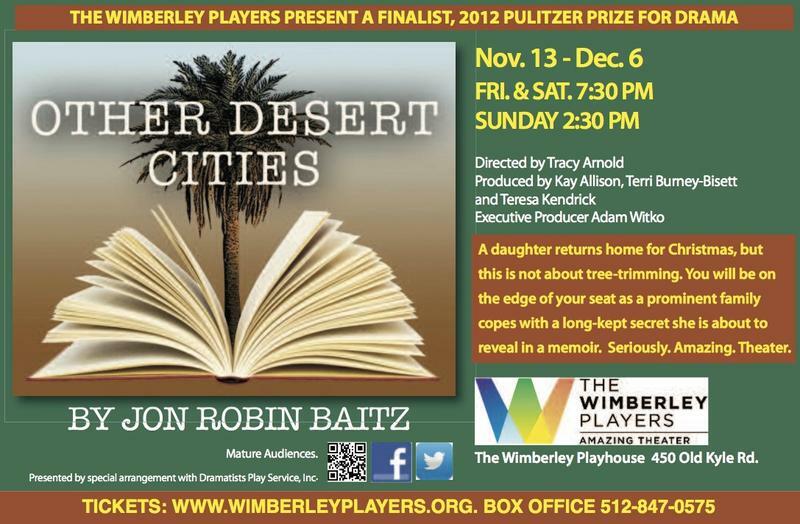 The Wimberley Players are currently presenting Other Desert Cities, by playwright Jon Robin Baitz. The play, which was a finalist for the 2012 Pulitzer Prize for drama, centers around a contentious family gathering on Christmas Eve. The setting is the Palm Springs, California home of the Wyeth family; daughter Brooke (played here by Shelby Miller) returns home for the holidays after a six year absence. She's written a book a book about the family, and the way in which her family members (including mother Polly, played by Whitney Martlett) react to this news spurs the action of the play. "It starts out as a family comedy," says director Tracy Arnold, "but we quickly discover the family's deep-rooted secrets and their conflicts that they've had from the past and that continue into the present."